The rice weevil Sitophilus oryzae (L.) (Coleoptera: Curculionidae), is an important pest of stored grains throughout the world. Different biopesticides and synthetic insecticides have been used for a long time to minimize the rice weevil infestation but their efficacy is not satisfactory yet. The climate and storage conditions are highly favorable for quick progeny which may be responsible for lower efficiency of insecticides and higher level of infestation. Insect growth regulators (IGRs) like buprofezin are the semi-synthetic insecticides, mimic the insectproduced hormones and don’t kill the insects directly but reduces pest populations by affecting mating behavior, reproduction, egg viability, pre and post embryonic development etc. 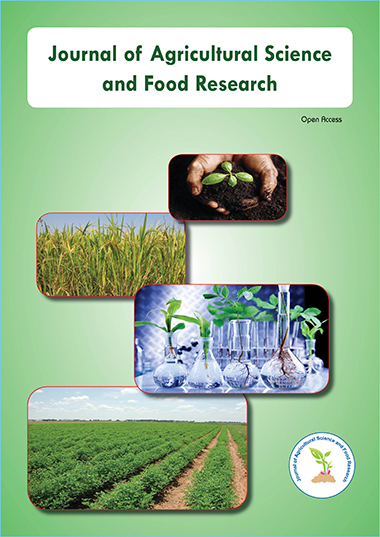 Laboratory experiments were conducted from August to November 2012, to evaluate the efficacy of buprofezin on the mortality and the suppression of progeny production of rice weevil. Ten adult rice weevils were exposed on three types of rice grains (long, medium and short) treated with buprofezin at 100, 200 and 300 ppm. Mortality was counted at 15, 21 and 28 days after treatment while adult progeny was counted at 6, 7 and 8 weeks after buprofezin treatment to get a new generation. The data showed that buprofezin had no direct effect on the mortality of rice weevils regardless the concentrations. Buprofezin at 300 ppm in rice grains significantly inhibited progeny production while lower doses (200 and 100 ppm) had no significant effect but virtually reduces progeny number. Types of grains were not factor for increasing or decreasing the rice weevils populations. In conclusion, buprofezin caused decreasing progeny productivity by S. oryzae (L.) with increasing concentrations regardless the types of rice grains.